This 9-day Cape Town, safari & wine driving itinerary will have you exploring Cape Town and its surrounding areas in a relaxed and comfortable way. 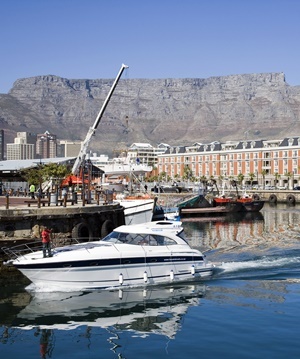 The first part of your holiday starts in Cape Town, where you will spend 4 nights staying at the V&A Waterfront. The V&A is perfectly situated to explore the city centre and the Atlantic Seaboard, where you’ll find loads of popular local restaurants, each offering something a little different. If you’re looking for a bit of cultural education, the city centre also has a number of interesting museums you can visit. A visit to Cape Town is not complete without a scenic drive along the coastline towards Simon’s Town, where you can swim with the local penguins. Another favourite is a sunset trip in the cable car up Table Mountain, where you’ll be treated to spectacular views of the city. The next part of your Cape Town, safari & wine holiday takes you to the ‘malaria free’ Sanbona Game Reserve, just a 3.5 hour drive away from Cape Town. You’ll be spending 2 nights here and be treated to morning and afternoon game drives, as well as delicious meals and local drinks. Sanbona offers some beautiful scenery and has a great diversity of animals, making for some interesting game drives. 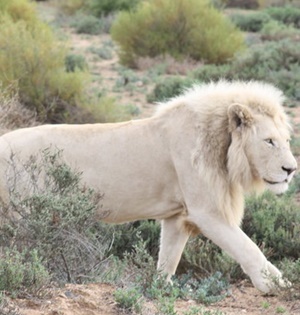 Sanbona is also home to the very rare white lions, and is one of the only places in the world where you can see them in the wild. The last leg of your journey brings you back towards Cape Town, where you’ll be spending 2 nights on a working wine farm just outside of Franschhoek in the Cape Winelands. We recommend a drive into Franschhoek and taking the Franschhoek Tram to visit some of the nearby wine farms – a super way to explore this beautiful area and make the most of your Cape Town, safari & wine holiday. 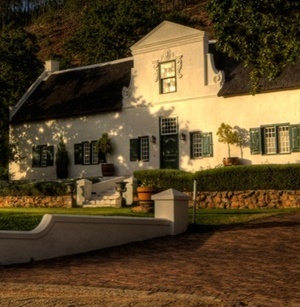 We also recommend spending an evening eating out in Franschhoek, which is South Africa’s culinary capital! Arrival in Cape Town, collect your hire car, driving the easy 30 minutes to the V&A Waterfront where you will be staying for the next 4 nights. You are right in the middle of all the action, walking distance to all the restaurants, shops and Robben Island boat ferries. The days can be as busy or lazy as you like, but we do recommend taking a day trip along the stunning Cape Peninsula visiting Cape Point, the penguins and enjoy lunch in Simonstown. Table Mountain is a ‘must visit’ too! Accommodation is at the V&A Hotel in a Piazza facing room with breakfast included. After breakfast take easy road to Sanbona Game Reserve outside Montagu where you stay the next 2 nights. Arrival by lunch, followed by an afternoon game drive. The next day you will enjoy a morning and afternoon game drive. The reserve offers a great diversity of wildlife in a vast expanse of beautiful scenery. Stay at Tilney Manor including all meals and game activities. For a small fee of £33 pp upgrade to Dwyka Tented Lodge. 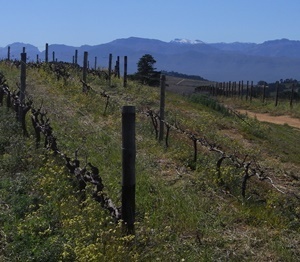 After the morning game drive and breakfast you will head back through pretty scenery to Franschhoek where you will be staying on a working wine farm just outside the village of Franschhoek for the next 2 nights. Spend the day visiting the wine farms and sampling some of SA’s finest wines – we can even arrange for a driver to take you around which allows you to taste more wine! Accommodation is at Rickety Bridge inclusive of breakfast. Today is sadly your last day, but with an evening flight you still have the full day to do some more exploring of the Winelands! We can recommend a lazy long lunch at La Petite Ferme that not only offers great food, but also some very commanding views across the Franschhoek Valley. In the late afternoon to evening head to Cape Town International Airport for your return flight to London after a great relaxing holiday!